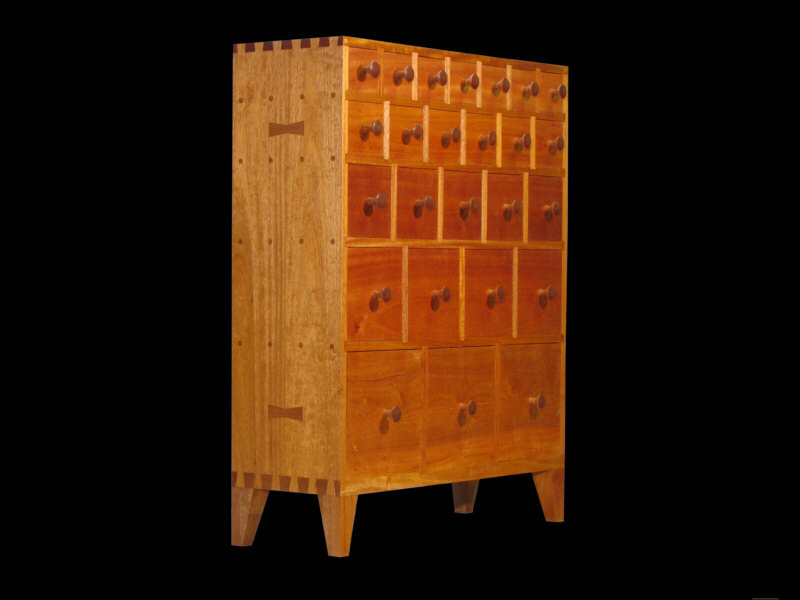 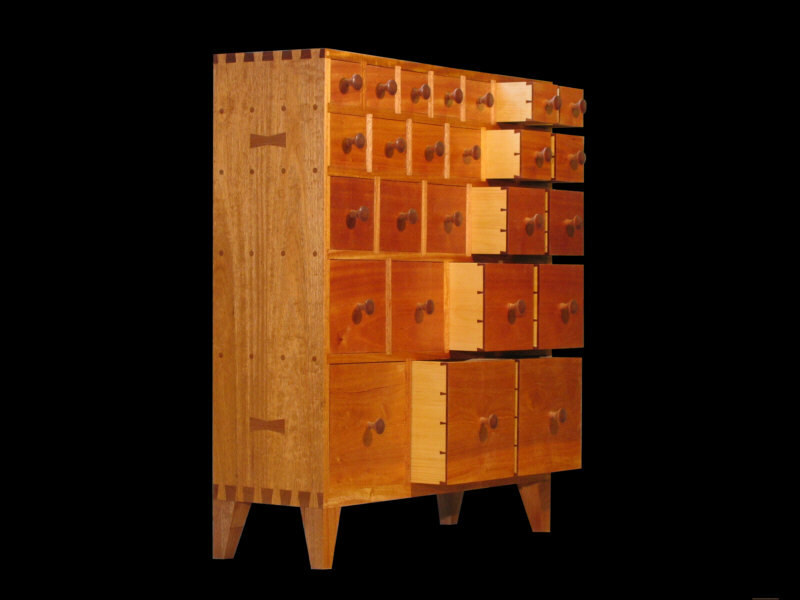 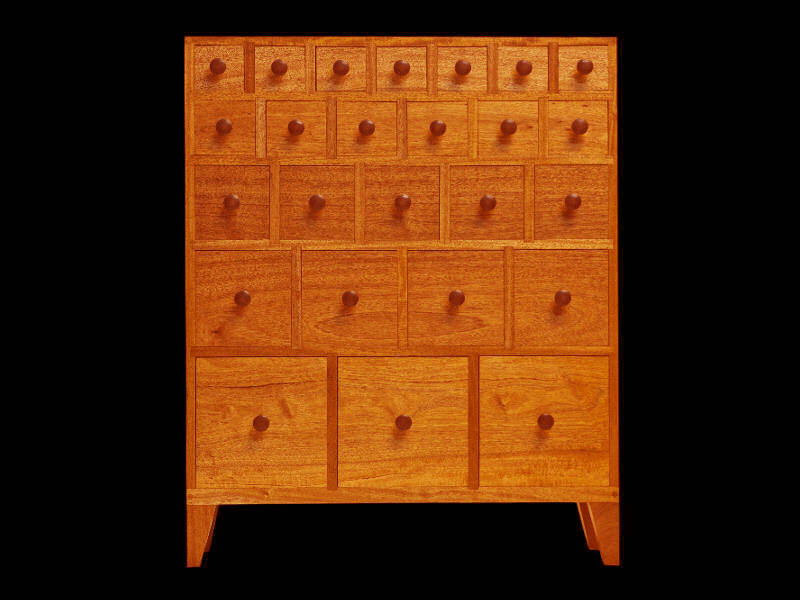 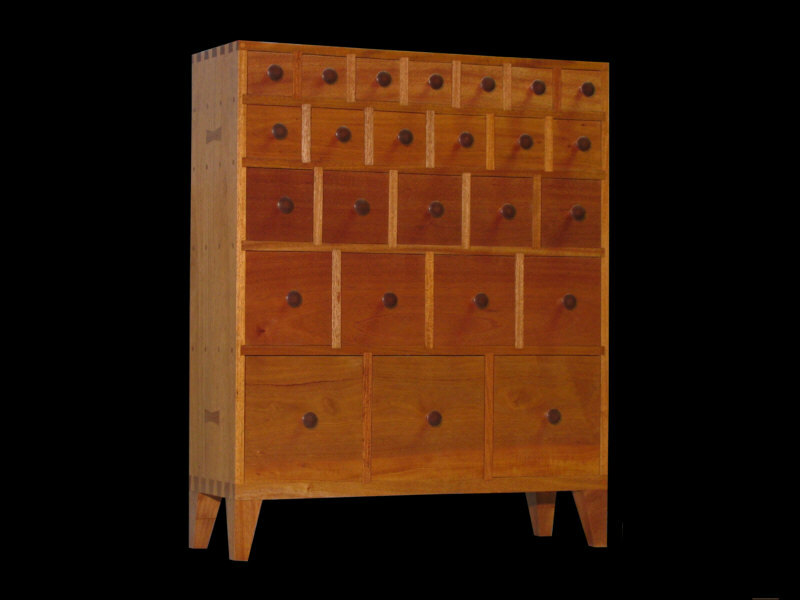 This is an 25 drawer solid mahogany modern style apothecary chest on graceful legs. 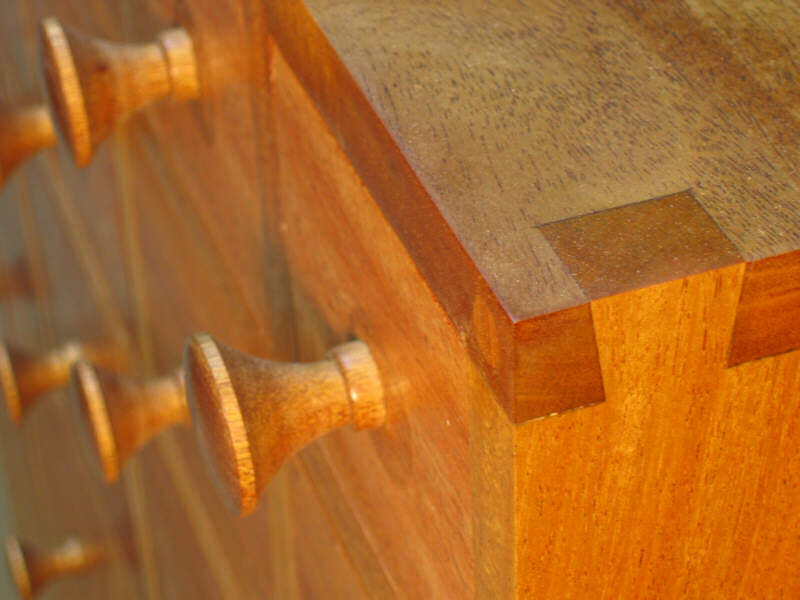 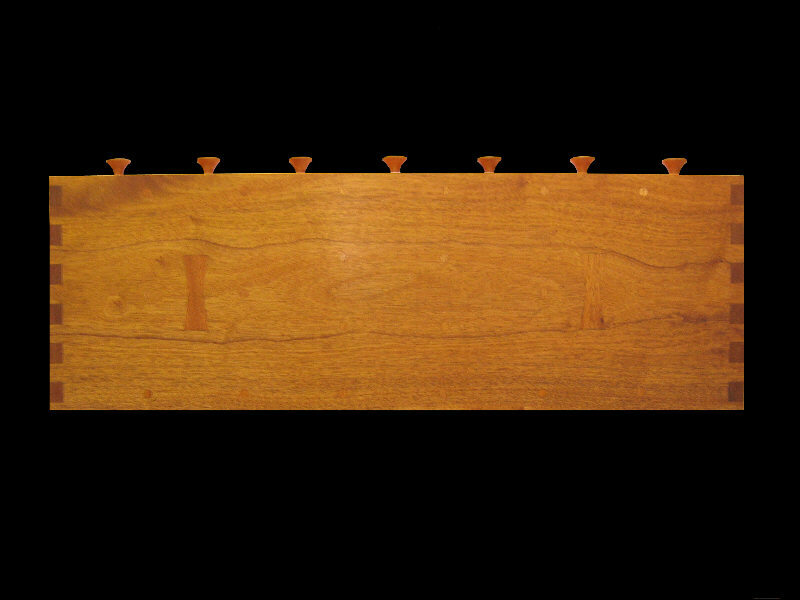 The legs are made of laminated mahogany for strength as well as design. 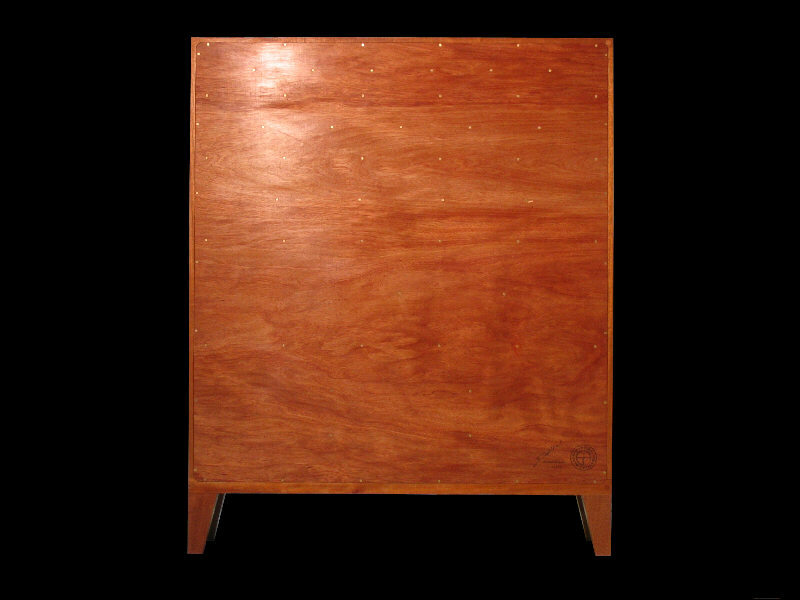 bigger ones have a large storage capacity.